Uni Watch: Let’s talk about a different phase of your career. You played briefly for the Reds in 1987, and at that time they were known for having their players wear their stirrups fairly low, with very little white showing. But it looks like you got away with wearing a slightly higher cut. Was that something that was spelled out to you at the time? Jerry Reuss: You know, I can’t remember. I see the picture you’re talking about. But you know, the Reds made some changes — I can’t remember exactly when they did it. When free agency came around, one difference between playing for the Reds and playing for someone else was that players on other teams could get shoe contracts, which was a bonus for them, but you couldn’t do that with Cincinnati, because they made you wear all-black shoes. So when they changed to red shoes [which according to Okkonen took place in 1986 — PL], I think they relaxed their policy on the stirrups, and I wore mine a little higher. But I wasn’t there that long, so I can’t remember when that changed. But yes, for years they were very strict about wearing the stirrups low. I remember talking to Tommy Helms when we were both on the Astros, and he talked about how restrictive they were — and off the field as well. Any time a player came out of his hotel room, he had to have a sportscoat on. UW: And I guess you had to shave your moustache while you were there, right? JR: They did, yes. That was part of the deal with Cincinnati. UW: Shortly after that, also in 1988, you were with the White Sox, and they still had the uniform number on the upper-thigh of the pants, which was fairly unusual. Do you remember that? JR: In 1988, I wasn’t certain I was gonna play. But my agent was good friends with [Chisox owner] Jerry Reinsdorf. He had some other clients who were with the White Sox, and he asked Jerry if he’d give me a tryout in spring training. Part of the reason I invited to spring training was that they’d tried the same deal with Tom Seaver a couple of years before, and Seaver had helped tutor their young pitchers. Then he moved on, but that helped open the door for me to come in, so I could be a mentor to the younger pitchers. That was a precondition for my being on the roster. So when I got there, I didn’t really care about the uniform. I was just concerned about getting a job. Now, once I saw what the uniform looked like, I thought, “Hmm, blue and red, that’s a pretty nice uniform. It’s well-designed.” It was a bit strange to see the number on the pant leg, but if I remember properly, the White Sox had a number of investors who were owners at the time. Eddie Einhorn and Jerry Reinsdorf were the main guys, but they had a lot of other owners who liked to have some input, and there were lots of compromises made. And one of those compromises, as I understand it, was that rather than having the number on the uniform top, let’s put it on the pants to provide a little a balance. Or at least that was my understanding of how it happened. UW: Toward the very end of your career, it looks like you were wearing the ribbon-style stirrups, which were popular at that time. Was that a conscious choice, or was it just what they had available? JR: I think they were evolving at that time. I know with the White Sox, Larry Himes, the general manager, had a rule in 1988 that we were going to wear the striped stirrups. He had a rule — he actually made himself the uniform police and wanted everyone to show the stripes, because that was part of the uniform. In fact, he went to the equipment manager after Rawlings, I think it was, measured everybody’s uniforms and told the equipment manager to take a couple of inches off everyone’s pant legs, to force everyone to show the stripes. Now for me, I bloused my pants, I didn’t have a problem with it. It was more comfortable for me that way anyway. By the time I got to the Brewers, they didn’t have any stripes on their socks, and they may even have had some guys who wore the two-in-ones. It seems that socks were evolving, and companies were coming up with putting the stirrup on the sock. Players stopped blousing their pants and started wearing them a bit lower. They didn’t have any rigid rules in Milwaukee about that. UW: When a team official comes down with a rule like that, do players just roll their eyes and think, “He’s gotta have better things to worry about” or what? JR: Trust me, I lived it. It happened in Houston, with [GM] Spec Richardson. Now, when I was in Houston, the socks were orange with a navy star. And he wanted the star to who. And he also wanted socks that were modeled after the Cincinnati Reds, but in the Astros colors. But a lot of Astros players didn’t show the star. There are more stories — sorry, I keep going off here, not following your line of questioning. UW: That’s OK. Tell me a story. 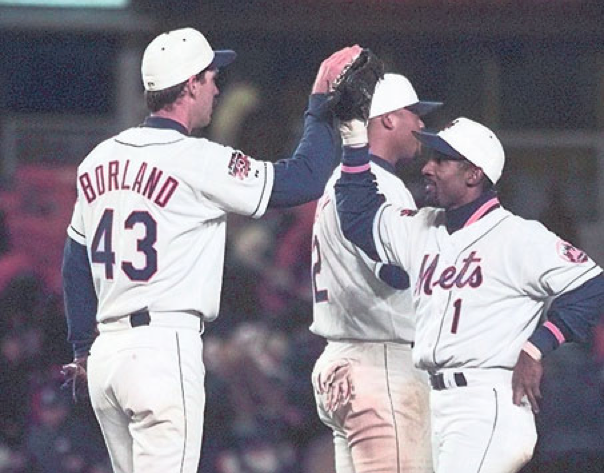 JR: When I coached for the Mets in the minor leagues in 2004, we were having 12- and 13-hour days, with most of it on the field. And toward the end of spring training, there were some days that were pretty hot. So you’d come in after that, and one time Jeff Wilpon — the son of the owner — wanted to have a meeting with the minor league coaches about the pants length. UW: I think the Mets at the time had a rule — and they may still have it — requiring all their minor league affiliates to go high-cuffed. JR: Well, this was the rule they wanted. Pants were going to be worn just at the top of the calf. But after a couple of weeks there were a lot of complaints from players, as well as coaches, about the pant length. So Jeff came in and had a meeting with all the minor league coaches and coordinators. And we all sat at a table and had a 40-minute meeting on this. UW: What were the complaints? Did people think the high cuffs were uncomfortable? JR: Well, yes, they were uncomfortable. A lot of guys had big calves, and the elastic was uncomfortable for them, so they’d remove the elastic. So we discussed everything about this, and I thought, “Boy, I’ll never get these 40 minutes back.” Because I couldn’t believe after a 12-hour day that we were gonna have a meeting on the socks. But here’s how they made the final decision, you’re gonna love this. In the minor league conference room, there were posters — pictures of Mets in various poses on the field. And what Jeff did was look on the wall and say, “This is the way I’d like to see it, the way Jose Reyes wears it.” And at that time Reyes wore his cuffs over the calf. And then they went around the room and asked everyone’s opinion about it. A lot of guys said, “Whatever way you wanna wear ’em is fine with me.” But then there were other guys who said it was too tight, or they couldn’t do this or that. And then it was, “OK, you can wear ’em a little lower,” but how much lower? And they found a picture of Al Leiter, who had his pants, oh, six inches above his shoe. [Frankly, I don’t ever remember Leiter wearing his cuffs that high as a Met. — PL] And it was, “What if we wore them like that?” and guys were saying that it was too low, we can’t do this, we can’t do that, it bothers my ankles, and on and on. And finally the rule came down, and it was in capital letters. And after starting with the idea that the pants would be just above the calf, now they said it would be from just above the calf to six inches above the ankle. This is the Mets policy, this is final. Which means they didn’t really solve anything. They only thing they didn’t want, and what they tried to prevent, was players who kept pushing their pants down to their shoes. There were cases — and this happened when was with the Cubs — of players getting longer pants, stretching them, and then wearing them over the back spike. Then they cut holes in the front of the pants and their their shoes through the hole, so the laces tied down the uniform pant. I’d never seen such a thing. UW: You mentioned Cesar CedeÃ±o modifying his stirrups. And I know other players made a habit of customizing their uniforms in particular ways — maybe a little extra tailoring on the sleeves, or a little extra fabric here or there. Did you ever do any customization like that, or maybe your teammates? JR: I never did. If my uniform fit and it was comfortable, I just put it on and didn’t think about it. As far as other players, they may have cut the elastic in the pants, but I don’t recall anything more than that. UW: You changed uniform numbers quite a bit during your career. Any significance to any of those numbers? When I went to the Pirates, they gave me 27, which had been worn by Bob Johnson. I wore it in spring training. And one day I was driving home, I think from a workout, and I saw a sign for the highway that went through Bradenton, and it was Highway 41. And then I remember that it was also prominent in the song “Traveling Man” by the Allman Brothers. And I just started smiling and I thought, “Let’s do that.” So I switched to 41 based on that. When I was traded to the Dodgers, the first day there I wore 25 without a name on the back, but that was Tommy John’s number. He had left as a free agent, and I thought, “You know, the body’s not even cold yet.” So I asked the equipment manager if 41 was available, and it was, so that’s what I wore for the eight years I was with them. UW: Hmmm, according to baseball-reference.com, you also wore 21 with the Dodgers. Is that not accurate? JR: I wore 21 with Milwaukee. UW: Yeah, they have that listed. But they also say you wore it with the Dodgers. JR: No, I never did. That was Jay Johnstone. UW: Wow, good memory! Anyway, then you went to the Angels. JR: Yes. 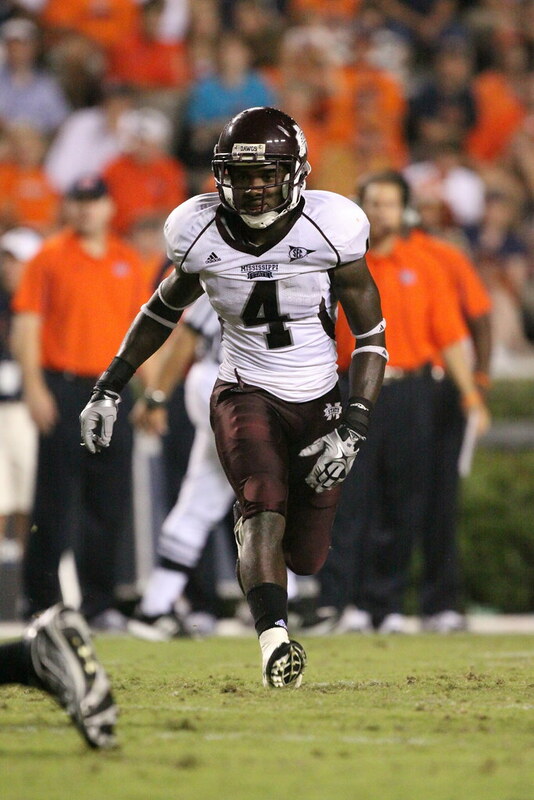 By that time, I was pretty much ingrained with 41, but 41 was worn by DeWayne Buice. Dyar Miller, the bullpen coach, wore 49. So I had to figure out a compromise in between. I think someone else had 47, so they gave me 44. Doug Decinses started laughing when he saw that. I said, “What’s so funny?” He said, “Do you know the last guy who wore that number around here?” And I didn’t know. UW: It was probably Reggie, right? UW: It is often a slugger’s number — Hank Aaron, Willie McCovey. So then I went back to Pittsburgh, just so I could finish my career on my own terms. Zane Smith was wearing 41, so they gave me 47. The final week of the season, the Pirates had already clinched the division, and Jim Leyland offered to let me start the final game. It was just a nice way to let me finish my career — I was honored, flattered. So I went to the equipment manager and I said, “Let me tell you a little story. I started my career as a September call-up, and that’s how I’m gonna finish my career. I pitched one game for the Cardinals in September of 1969, and I wore 49. And it would be a nice way of going full-circle here if I could wear 49 for this final game.” It was available, and he said, “I’ll get that taken care of for you.” So that’s how I finished my career wearing 49. UW: Huh, that’s another one that isn’t shown on baseball-reference.com. UW: No, of course, I totally believe you. It’s just one of those things that shows how you can’t trust everything you read. UW: What do you think of the current look in baseball, with the longer pants, the baggier uniform, all of which is very different than the look most players had during your career? JR: To give you a bit of background, I grew up in St. Louis, going to Busch Stadium, and I’d see how the players wore the uniforms — the black shoes, the bloused pants, all the details. That really became ingrained in me. To me, that’s how I dreamed of looking as a major league baseball player. UW: That became your ideal of what a baseball player is supposed to look like. JR: Right. It was just my personal preference and it’s what I grew up with. And I wore it that way from high school on up through the big leagues. And uniforms evolved, but I held on the best I could to the way uniforms were when I was growing up. When I look at pictures of myself from my career, I think, “That looks normal.” That’s how I wanted myself to be presented and preserved. But each generation of ballplayer, the way they wear the uniform really defines the times. The players put their own personal brand on it. It just represents the times. But things evolve, fabrics evolve. I wore the Pirates away uniform for their fantasy camp, and it was the most comfortable uniform I’d ever worn. I didn’t want the real long pant legs. They asked me, in fact, and I said, “What I really want is about 6 or 8 inches above my heel,” and I wore them unbloused with the two-in-one socks. 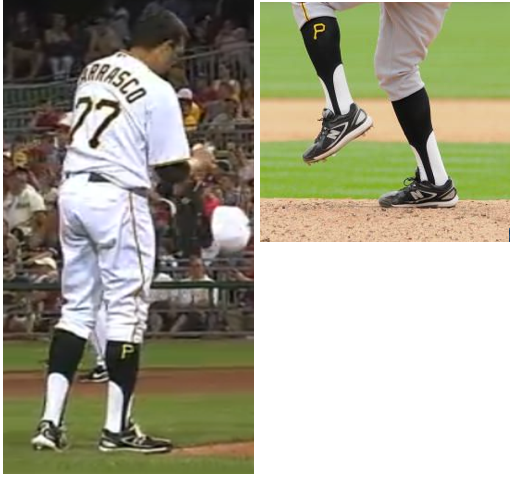 If stirrups and sannies had been available, that’s what I would’ve worn, but the Pirates didn’t have stirrups available. UW: So you would have preferred that, even though it’s a little more high-maintenance. UW: Did you ever wear two-in-ones when you were playing? JR: I don’t see myself wearing them in any pictures. I don’t remember wearing them in the big leagues. 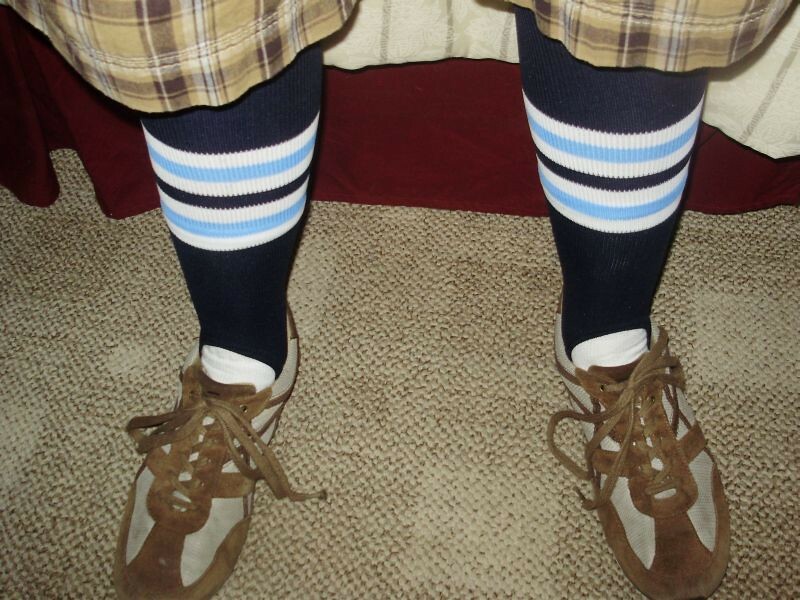 But I probably wore them in the adult league, because there weren’t any stirrups available. And I wore them at fantasy camp, because it was easy, and it seemed to blend well with the piping on the side of the pants. It looked right, at least to me. Other guys — I think Bill Virdon, who was managing, wore two-in-ones, and I think everyone else wore the solid socks. UW: I think that’s all the questions I have. Do you have anything you want to add? UW: Oh, I didn’t realize you’d designed that. JR: Yeah, I did. The Redbirds logo was based on the logo from the Springfield Redbirds. I can show you a link for Satchel Paige’s business card with the Springfield Redbirds, and it shows the logo. UW: So you based it on that. JR: The manufacturer who made that uniform for me was the same one who’d made the Dodgers’ uniforms when I played for them. So we talked about it and he helped put it together for me. And the Cardinals’ Sunday cap really tied it all together. So that took care of my uniform jones. And it puts me right up there with all the people on your site — what do you call them, tweakers? UW: Yeah, that’s Phil’s thing, on the weekends. He runs all the tweaks and concepts that people come up with. UW: Yeah, the computer makes it so much easier to dream things up and try out ideas. If you can imagine it, you can create it, at least on the computer screen. UW: Well, when you get to be the GM of a team, we’ll know to approach you with our ideas. JR: I don’t know how I would handle that, because there’s so many good ideas, but there’s only so many uniforms you can put out there. And if you start changing logos and designs, changing colors, you end up losing your brand. You know this better than I do, I’m sure — you’ve thought this through. Was that a great interview or what? Major thanks to Jerry for sharing his time, experiences, and expertise. Hope you’ll keep reading every day, Jerry — you’re one of us now. We have some high-end items this week at CC. While the majority of eBay items are reasonably priced, there are a few gems out there that can really break the bank, er, PayPal account. • Going way back, here’s a cool baseball signed by two guys named Ruth and Gehrig. Just 3K. • Fantastic set of early-’60s NHL bobbles, priced to move at $549. • Broncos @ Raiders program from 1961, a mere $450. • Reader Warren Junium took note of this vintage Notre Dame stadium usher’s vest and hat — a steal at $100. • A 1960s Pirates bobble — rendered in green, red and white? • Not sure why you’d want an NFL figure candle. Won’t you be melting his helmet and head? • You’ve seen the NFL gumball helmets, but have you ever seen an ad for them? That one’s from 1969. Giveaway Results: The two winners of the America Bowl book and the Redd Foxx T-shirt are Anthony Gonsalves and Michael Rich. If you didn’t win but want to buy one of the shirts from Don Steinberg, contact him here. ESPN Reminder: In case you missed it yesterday afternoon, I have a new feature, not uni-related by still plenty interesting, up now on ESPN. Uni Watch News Ticker: Cincinnati football coach Butch Jones says the team may be tweaking its uni later this year (with thanks to David Sonny). ”¦ I asked the folks at Tulsa about those NFL captaincy patches that the football team is wearing. 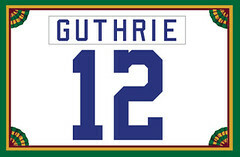 Got this response: “This is actually the first year we’ve had a captain’s designation on the jerseys. Obviously, the NFL captain designation is extremely classy and good-looking and thus our equipment manager elected to use the NFL-style captain logo. To my knowledge, the players are unaware that these are patterned after the NFL-style patch.” I followed up by asking if they got the patches via the NFL, and/or if they asked permission (not that I necessarily think they need it — just seemed like something worth asking) and was told, “No they did not. From my understanding the patch is not trademarked or registered.” ”¦ Meanwhile, remember how we were saying that the SEC patch on Mississippi State jerseys looks like a Jesus fish? I check on that and was told that it’s actually an illusion caused by the white edges of the pennant-shaped patch. That’s why the fish-tail effect is only showing up on the team’s red jerseys. 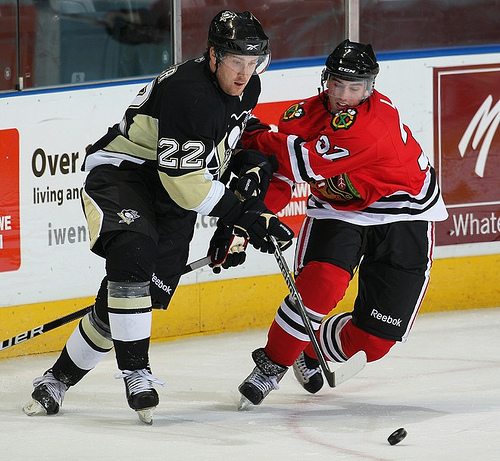 ”¦ The Pens and Hawks went color-on-color in a prospect tournament game. “I wouldn’t mind seeing this in the regular season,” says Jason Smith, and I’m not so sure I disagree. ”¦ Yesterday’s Ticker included a link to this photo, along with speculation that it “looks like it marks which yard line the clip is aligned to.” That prompted a note from Zane Tuck: “That is correct. That is what is simply called, a clip. I’m a football official here in North Carolina, and the head linesman gives a clip to a member of the chain crew before each game (if there isn’t one already on the chain). The clip is placed on the back side of the back yard line each time that a first down is gained. You can buy different varieties of clips. There’s the dial clip, which is similar to the one you linked to in the Ticker. It’s plastic and you rotate the dial to mark the yard line for the clip. It’s bulky but very functional. There’s the slider clip, which is made of fabric and has a black plastic slider to mark the yard line. If you’ll notice on this one, it has the yard increments from 5 to 55, so it can be used in Canada as well as the US. The dial clip also has those same increments. The last one is the phone dial clip. I’ve never used that one before.” ”¦ Denis Hurley has created a new site dedicated to the history of kits in the Irish sports of Gaelic football and hurling. “It is still only early days, so only current jerseys are included for most teams, though more will be added over time,” he says. ”¦ Peter Greenberg recently got to spend about half an hour inside the Green Monster during a game at Fenway. “One of my favorite things was the controls to the old home and visitor lineup boards that used to be on the old Fenway LF wall, not used since they got rid of that feature in the late ’70s and added the first Jumbotron in centerfield. The guys who work inside the Monster claimed not to know what those were for (and one has been there 30 years, just after their use was discontinued), or maybe they just didn’t like talking about it.” ”¦ You know how football coaches cover their mouths with their play-calling cards? They might not have to do that anymore, thanks to a new invention. Details at the bottom of this page (thanks, Ek). ”¦ Jim Amato was cleaning out some old stuff and found a souvenir helmet with a Memorial Stadium final-season logo I’d never seen before. ”¦ Absolutely sensational Utah/BYU game program from 1960 available for your viewing pleasure here (major find by Ben Hatfield). ”¦ Michigan will wear a memorial decal this weekend for Ron Kramer (as Twittered by Craig Baker). ”¦ “The high school I attended (Fillmore High, Fillmore, Calif, which has the fairly uncommon nickname Flashes) will be playing its arch-rival Santa Paula for the 100th time this fall,” writes David Lassen. “There’s quite a bit of activity around this event, including a Facebook page where people have been scanning and posting some old photos.” ”¦ NHL observation from John Muir, who writes: “The Bruins, Coyotes, and Rangers are doing something quirky for their Rookie Camp games this week: They’re assigning captaincy ‘C’s and ‘A’s. A lot of teams have rookie/training camp uniform traditions (the Red Wings non-arched NOBs, e.g.) but I’ve never seen this done for rookies.” ”¦ Blayne Green and his daughter recently took apart an old football that had gone flat. He was gonna trash it, but then he thought maybe a DIYer or craft-ish person might have a use for it. If that sounds like you, contact Blayne directly and he’ll hook you up. ”¦ In a related development, Steve Johnston has an old auction catalog loaded with cool photos. If you want it, it’s yours for the cost of shipping, which Steve says will be $10.70. Interested parties should contact Steve here. 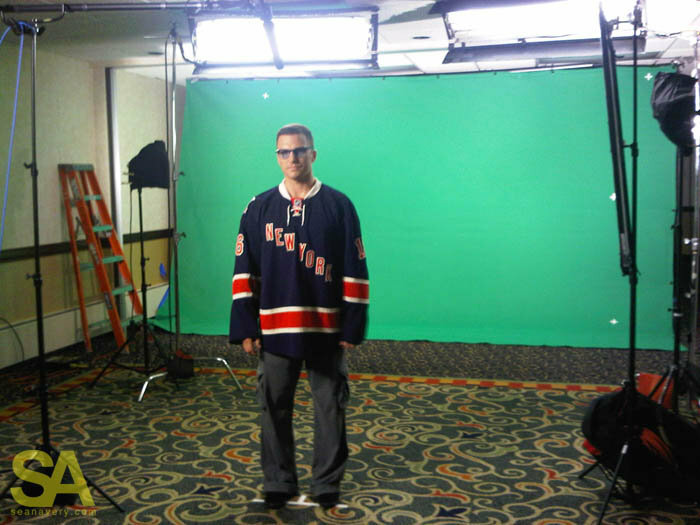 … NY Rangers’ third jersey will supposedly look like this — nice (with thanks to Mario Morgado). Two brats, with mustard: I’m heading off this morning to my favorite state, where I’ll be spending the rest of the weekend. Not sure how much computer/wifi access I’ll have while I’m there — possibly none — so try to go easy on the Ticker submissions this weekend, OK? OK. Enjoy your weekend football and I’ll see you all next week. If that is the new Rangers jersey, I love it!! I’d like to nominate Larry Himes for the Uniwatch HOF for having the stones to tell the uniform manufacturer to shorten the pants so the sock stripes could show. I’m surprised that the players’ union didn’t file a major grievance against him, those greedy SOBs. Maybe a “Superballs” Award, instead? I love the NHL bobble heads in the posted Ebay listing. The seller is former NHL goalie Joe Daley, one of the last barefaced goalkeepers in the NHL. I remember seeing him play for the Sabres. The sight of him in net without a mask just stunned me. I knew that goalies in the past didn’t wear masks, but I thought it was ancient history (I was 10 at the time). It seemed like a player from the past had been dropped into my world. That was the first & only time I saw a maskless goalie play. He finished his career with the Winnipeg Jets. Loved the interview, Jerry! I remember that last game with Pittsburgh, but I’d had no idea that 49 wasn’t your regular number (or that you’d had it with the Cardinals). I liked those circa-1990 White Sox uniforms, too. They’re easy to forget about since the onese before them had that distinctive look, and the silver-and-black exploded in popularity after them. They had a very clean look, with the number on the pants being just a bit unusual; enough to keep the uniform from being boring. I especially liked how there were only numbers on the backs! Come to think of it, when is the first example of a team having numbers on pant legs? I have an old picture of my grandfather in his high school uniform from around 1943, and that team wore pants-numbers. Was that rare then? I agree, thank you Jerry for taking the time to give us an inside view of the uni-world. I also agree with you about that White Sox uni. Very nice looking, indeed. I would like to see the Sox go back to something like that, if not for one thing – there’s too many dang red and blue uniforms already in existence (and this coming from a Braves fan). Still, it’s a great design. More great stuff from Jerry! The fact that many UF players ceremoniously ran to the end of the Orange Bowl and jumped into the pond! Seems that’s the “icing on the cake” of unsportsmanlike behavior? Wonder why this didn’t come up in discussion? It did come up. But I decided not to go there. By that time, the Flop play had already happened, Reaves had already set his record. I wanted to keep the focus on the field, not on the extra-curriculars. Jumping in the fountain may have intensified the hard feelings on the Miami side, but it really had no bearing on the larger question of whether the Flop was or wasn’t a sportsmanlike thing to do, and whether Reaves’ record was or wasn’t tainted. In short, I think the fountain jump was a red herring. I decided to treat it that way. I don’t know about pre-1970s but the Astros were the first team in the modern doubleknit era to have groin-level digits. (I just like saying groin-level digits). Hey PL, are you planning a trip to Green Bay to boo the Bills uniforms in person? I wish. I expect to be watching the game in some random roadhouse bar in central Wisconsin, however. Ray, thanks for the info. I think I’ve seen minor league groin-level-digits from the pre-doubleknit era, but I’m not sure; that’s why I’m asking. The ’40s seem really early for this kind of thing, but then again I could also imagine some kind of barnstorming team where the back of the jersey is covered by an advertisement, pushing the number down to the pants. I saw a picture in a magazine where a high school team was wearing the NFL captains patch as well. I haven’t found a pic yet, but it is Muskogee High School, not far down the road from the University of Tulsa. Guess I didn’t look hard enough. Here it is. Take 2…If you notice #8 in the bottom, you can see the patch on his left shoulder. Good pic of it under player profiles, but it won’t link for some reason. I love the New Rangers jersey … it incorporates historical elements, let’s just hope the white is off-white or bone. 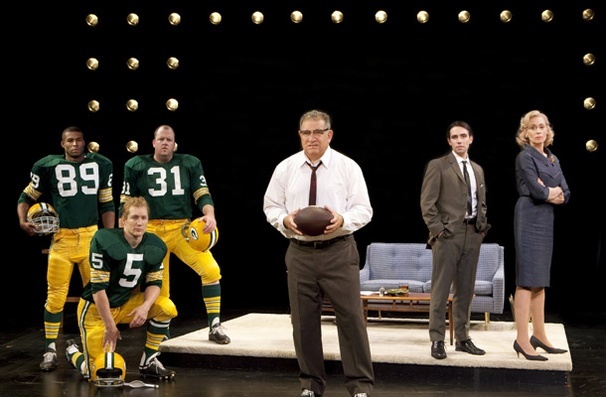 Forgive me if we’ve talked about this and I missed it, but the first promo pictures for LOMBARDI on Broadway have been released (from their out-of-town tryout). Looks like Robinson, Hornung and Taylor will spend the play in uniform. Is it wrong of me to fixate on their socks? Someone should splane to them the Packers aren’t a baseball team. Yeah – so close, but amazing how one little detail makes all the difference. Is that the dad from Wonder Years? Yep, with the mom from Who’s the Boss? 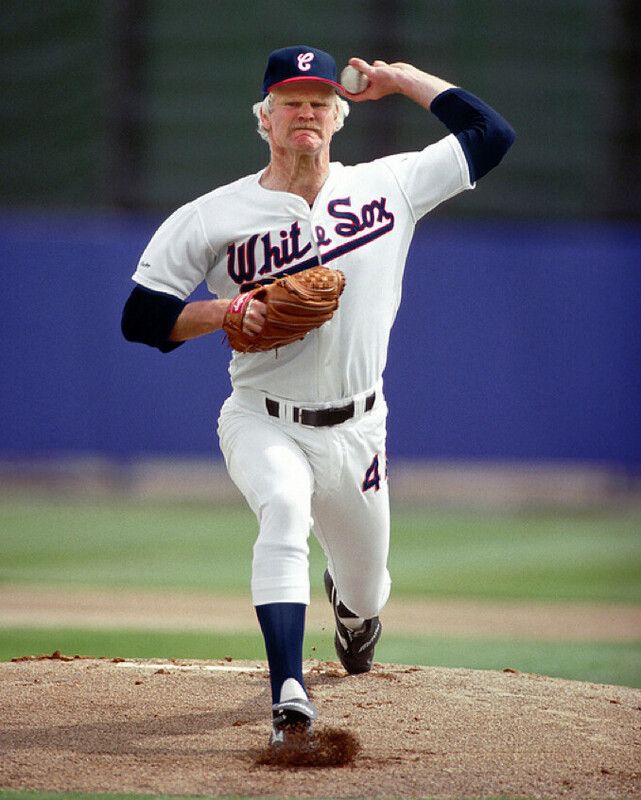 Paul, You left me wanting more of Jerry Reuss! /Agree. Maybe Jerry should pick up some of Paul’s August vacation? Flyers are doing this too. Check video below at 0:05 seconds. Interestingly, the live stream of the rookie game was not available on the website due to “technical difficulties”–guess the front office didn’t want to show its hand by giving a sneak peak of the new road jerseys–in fact the recap photo on the Flyers website shows the Flyer player in a practice jersey!!! What a cover-up for the sake of marketing!!! That interview was Uniwatch gold. Is #41 retired for Matthews on the Brewers? I can’t find anything related. I just ran across an interesting article from 1910 entitled “To Tag Football Men”, debating whether or not football players at the University of Michigan should wear numbered jerseys or not. Some thought that the numbers would bring too much individuality to a team sport, which throws today’s NOB debates into perspective. J.D., great article! I like the line at the bottom where one athlete comments that “in track it has worked out all right” — I don’t usually think of the temporary pinned-on numbers of track and field as being the same thing as the permanently-assigned sewn-on numbers of other sports. It’s interesting to how people considered things back then. (And I’m very much anti-NOB because (1) I like a clean look, and from the cheap seats, NOBs are just a blurry strip, and (2) with a name on top and possibly some dumb logo above that, the back of the jersey it totally thrown off balance. Make the digits an inch or two taller and dump all that other garbage! Let us upper-deck-sitters be able to read the numbers! Well that’s the way it used to be, larger numbers on back. Pre-NOB the most common combination in football was 10″ numbers front, 12″ back. Some went with a more old school look (read: “pre-TV”), using 8″ and 10″. TV numbers usually were 4″, but some went larger (Rams’ were HUGE), others smaller. Terry Proctor would be a far better source on this, but those seemed to be the typical configurations. It still is like that. All NFL and most collegiate teams use 10″ numerals on front and 12″ numerals on back (or thereabouts). Very few, if any, use same size numerals front and back. In the 1970’s, the Chiefs, Cardinals and Broncos all for a spell wore front jersey numerals that were definitelt shorter than average. I was just looking through the BYU/Utah game program and there is a list explaining all of the penalties with accompanying illustrations. There were some weird penalties that I had never heard of. Anyone know what “crawling” by a runner or “interlocked interference” are? Do any readers live in Toronto or in an area that gets the Toronto Blue Jays’ games on TV? If so, I’m hoping you might be able to take a few screenshots for me to help with a project I’m working on. My email is uvacavs28 at aol.com if you are willing and able to help. Thanks! I have MLB.tv. What are you looking for? Ron Kramer. Sad the hear of his passing. Not only a factor at Michigan, but also,THE tight end on the early great Lombardi Packer teams. Gary Knaflec had played some at TE, but it was the receiver set of SE Max McGee, FL Boyd Dowler and TE Ron Kramer that was a fixture during those years (yes, there was someone before Marv Fleming). His nickname with the Packers was “Oaf”. 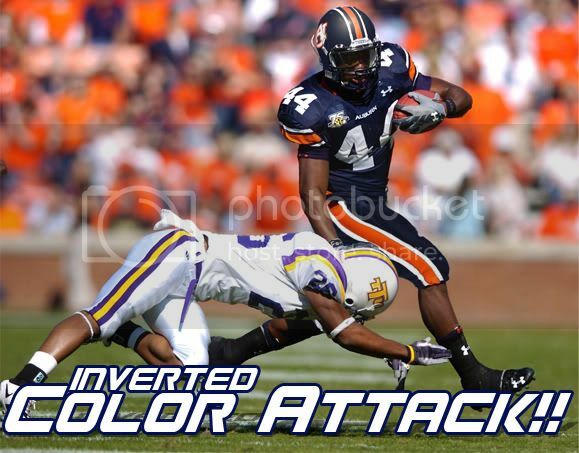 Just thinking if they’d remove face guards from helmets today if that wouldn’t resolve the concussion issue. There’d be broken noses to be sure, but it’d take a pretty mean guy to deliver a hit without the protection of a facemask. Many thanks to Jerry Reuss for his insight. Like the Rangers thirds. And the Pens-Hawks color on color. As someone who went to a Wings-Rangers preseason game in 1999 just because both teams went color on color, I’d love to see more of that. It seems like if there’s enough contrast in color and in black and white, then why don’t leagues encourage color-on-color? Who’s been doing the increased tweets the last couple days?- Paul, Phil, Ek or an unamed 4th person? Mostly me, but Paul has tweeted a few things as well. I think he’s starting to get into it a little bit. We’re going to start using it more for tips. So, if you’d rather alert us to something via Twitter, we’ll toss it in the next day’s ticker with a link to your page. what is this *twitter* of which you speak? Good job! I’m glad to see you guys harnessing the full power of twitter. I know for awhile there, I was wondering if anyone was looking at the at-replies, now, it appears there are. It’s really a good way to monitor stuff in real time. This would probably be a good time to ask for an update on the twitter list I maintain. If anyone reading is on twitter, please respond with your @name and I’ll get it added. I marked @jerjod down already to get him on, but anyone else let me know. I’m @dougkeklak in case anyone cares, but you’ll see I added you when I put you on the list so if you want to wait to return the favor, that’s cool too. The Gators are also going after high schools who use a similar logo – including one with 232 students. I understand the legalities, but it’s unfortunate that this is how our society works. Between this and Chris Rainey and the flopping thing being revisited, this UF alum couldn’t be prouder this week. Yes, it’s unfortunate that schools choose to steal things that don’t belong to them rather than using the tools they have to come up with original designs. Until recently I used to get upset when I saw the “big guy” going after the “little guy”, but then I started thinking, how hard can it be to simply use a different font or have your own logo. Especially with the expansion of computer/graphic/tech related electives available in most high schools today. Have the teacher oversee the design process of the students; it would be an excellent project that would teach them a lot. Yes, because educational institutions are like corporate raiders, worthy of our scorn and derision. I SAID I freaking understand the legalities, jagov. You protect your trademarks or you risk losing them to someone who DOES have bad intentions. I GET that. What’s unfortunate is that there ARE people with bad intentions, which does not include private schools of 232 people. Yes, you can come up with your own logo in this day and age, no one is arguing that. But the expense of changing everything over? You don’t see that THAT’S an issue? Right or wrong, regardless of who created the issue, I’d rather my school be investing in infrastructure and buying textbooks and making sure my kids are safe than spending it to create new logos and take all the old ones off every piece of equipment and stationery. But, hey, everybody’s a goddamn expert. How about a nice, big breath? That’s better. Yeah, it costs a bit to change things over, but wouldn’t there be some good side effects down the road of creating your own identity instead of stealing from a college or pro team? Some pride in saying “this is our school,” not “our school is called the Gators, too, how about that!” And, as others have pointed out, it’d be a great project for students. I’m also assuming the schools do eventually get new jerseys, resurfaces fields/floors, etc. They could probably work out some sort of deal to phase in the new logo over a little bit of time if finances were that desperate. But, hey, I’m not an expert or particularly worked up, so what do I know? Schools of thought (no pun intended) change slowly. Before computers, and before cable TV showed us every highlight of every game (including high schools on occasion), kids LIKED emulating the programs high up and far away. It was cool that our logo was like Florida’s, or our unis were like the Colts. 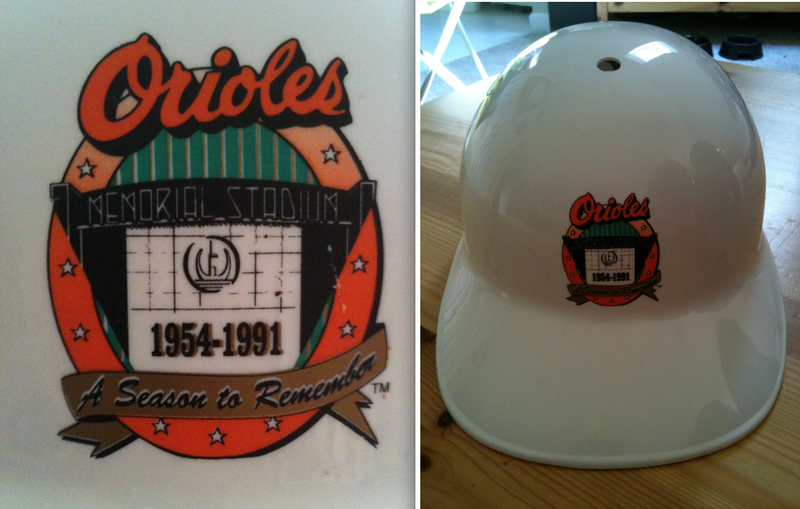 My high school baseball team, being the “Orioles”, wore the same hats as the Baltimore Orioles. And Florida State, even, saw that lance on the Redskins’ helmets and thought, “Y’know, we should do something like that.” And they did. Teams didn’t care. It was flattering to them, actually. Charming even. But times change. Teams and schools now sell truckloads of gear, and they do have things to protect. High schools, thankfully, now have sophisticated design programs so they can be terribly original and have their own stuff…and even small local suppliers today have the technology to produce it. So the “pride” slowly shifts toward originality, rather than “hero worship” (I suppose we could call it). It’s a change in attitude brought on by the scope of “fan gear” business exploding. So I suppose schools will emulate others less and less often. That’s good. But it’s a little sad, too. There’s a bit of innocence lost. Or something. Although I hate to think we’re at the point where someone can prohibit a high school from calling itself the “Gators”. Or “Wildcats”. Or “Broncos”. And such. no need for the vitriol there kenn. fast forward to 2010 — is the high school “stealing” or is it “the expense of changing everything over? You don’t see that THAT’S an issue? Right or wrong, regardless of who created the issue, I’d rather my school be investing in infrastructure and buying textbooks and making sure my kids are safe than spending it to create new logos and take all the old ones off every piece of equipment and stationery”? It’s just lazy. Ricko may say “flattering” or “charming,” but truly its laziness or just plain ignorance. You go to the local sports shop. They had sheets of icons (let’s not mistake these for logos). You pick one and print on your shirt/jacket/hat/whatever. Then I worked in sporting goods as a teen and learned first-hand how uneducated people are about visual identities (this was pre-“brand” in people’s lexicon). There’s really no excuse for it in 2010. Not money. Not “we didn’t know.” Think about it, you don’t get to steal an artists’ music. Or, her paintings. Or, a web URL. You don’t duplicate someone’s copyright… what makes an organization think they can lift an icon or logo? Particularly an EXACT replication… change the type, or replace Bruce Buccaneer’s sword with a rose… but don’t lift the exact same image for your own. Kind of a different direction, but I haven’t seen many Purdue Pete’s floating around, though I have seen the Purdue Special logo ripped off by some high schools. Who’s stealing Pete? I guess I shouldn’t have used an apostrophe there, there was nothing that belonged to Pete. It was multiple Petes. I apologize, Grammar Pope, I have sinned. That description of how things were taken was clerly in the context of the late ’60s, early ’70s, and before. Pretty tough to deny where Florida State got the inspiration for its feathered lance helmet. Yet, the Redskins didn’t do anything about it. One, they probably hadn’t protected the design. Two, they probably didn’t care. Not back then. 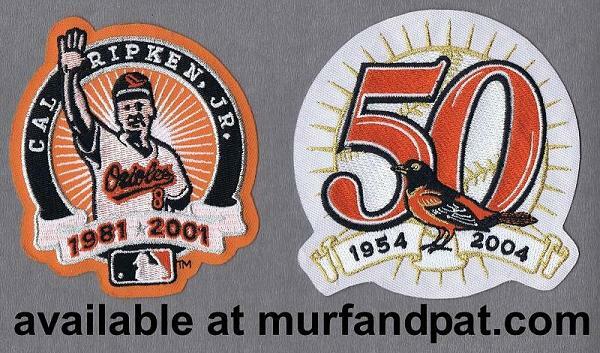 But that was my point: Things have changed because of expansion of merchandising over the decades. We here in Wiscy are glad to have you here this weekend Paul. Paul, will you be in Madison tomorrow to watch the Sun Devils dismantle the Badgers? Pirate shortstop Ronnie Cedeno wears high cuffs with black tube socks and looks great. I’d gladly take the compromise of tubes over stirrups as long as the cuffs are high, even TOO high. Anything but the PJs. Traveling Man? Come on Jerry. It’s “Ramblin’ Man”. “Travellin’ Man” was Ricky Nelson. (I’ve heard some contend that the film Ozzie Nelson produced of that song for use on “Adventures of Ozzie and Harriet” may in fact have been the first music video). Paul (and others) likely would know more about that than I, though. But I do remember watching it on TV and thinking it was kinda cool. Jerry was referring to Ramblin’ Man which mentions Hi. 49. He mistakenly called it Travelin’ Man. I wish all players had his taste in on field attire. I meant to say Ramblin’ Man mentions highway 41, not 49. That Mississippi State “Fisher of Men” logo has been bothering me for atleast a year now. Thanks for clearing it up, haha. Are we still doing Stirrup Fridays? I just got my pair of the Rays gorgeous striped stirrups and couldn’t wait to try them on. I’m dangerously tempted to wear them to the game tonight. Any idea when the newest set of ‘rups will be unveiled? I was supposed to get a pair for my recent 40th, but the Mrs couldn’t locate Comrade Marshall’s site. So I said to just wait until new ones are introduced. I am anxious to join the Revolution! 41 isn’t retired by the Brewers – it’s retired by the Braves. I remember Mike Birkbeck wearing 41 in the late 80s. Cool BYU Utah program today. Got a kick out of the Skyline Conference drawing. I have something like that, only in a white shirt with yellow raglan sleeves. Always wanted a John Paul shirt with a 2. Great idea, but I’d take Leo XIII. do you have one of these too, jim? If anyone is interested in ordering a GAA jersey here is a link to O’Neills the company that makes them. I know you had a lot of records up on ebay for a while, was kind of hoping Jerry’s record collecting would come up even though it’s a bit off topic for the blog. He had a CD price guide out a few years ago. Anyway, thanks for a great interview, Jerry is great guy with a lot of interests which make for a great interview. ChiSox wearing green unis tonight, Halfway to St. Pat’s Day promo. Well not all green, just replace the black with green and voila. I like the look, we could call them the Green Sox just for tonight. If they even show any sock, that is! Pierre in green stirrups, Castro in green socks (tho a black batting helmet for him), green belts, pinstripes, caps, helmets, wordmark, numbers & NOB with white trim. It’s a look I’d like to see go full-time, but some say it’s a bit too much for everyday. Remember earlier this year when we had “Design A Hat” Contest for the Sartell Sabres (MN) baseball team? Well tonight’s Sartell Sabries football game is available online. Go to foxsportsnorth.com, click on PrepZone icon, then select the game. Just went to halftime behind, 14-0. And, yes, somebody “ripped off” the Colts for their unis. I mean, what fun is it for kids who’ll likely never play football past high school to at least dress like the pros while they DID play the game. I’d like to wish Paul and all the other MOTs here an easy fast. and a good yontef to you as well. I have one of the Gaelic football jerseys pictures (actually I have the goalie jersey-same design but inverted colors). It really looks good-you hardly see them in the US and I get a lot if compliments on the look. Glad to see a site dedicated to the Gaelic kits up and running. watching the cal-nevada game on espn right now and noticed the bears have 2 football shaped decals on the back of their helmets. left back is the new pac-10 logo, and right back everyone has 2 stickers stacked on top of each other, look to be football shaped. first thought they were “big play” type of stickers, but it looks like everyone’s got just 2. cal is 2-0 this year, but it doesnt seem likely that they’d give out stickers for each win. this is what was on the helmets last week against colorado, now it’s something different. Why are the Mets wearing white caps? Are those the Stars-n-Stripes caps? anyone seen the espn sportscenter commercial with andre ethier and the 3d camera? just saw it and noticed he’s not “breathing ethier” in it. he’s got his swooshed collar undershirt on. It’s nearly Saturday now. I can barely wait.